Many angst-filled teenagers go against the grain and ignore what their parents say. This is their predictable way to rebel against the mainstream. When teens slowly transform into adults, they feel that they don’t need their parents anymore: adolescents want to become more independent. However, this impetuous behavior may very well negatively alter the course of their lives. Instead of achieving proper independence through hard-work and the merits of intelligence, they could be alone, staring at an empty needle, looking for an angry fix. When people have nothing else to do, they start using drugs as a way to kill time. To help them pass the time, they sometimes use psychedelic substances that will let them explore the boundaries of consciousness. This entertainment is referred to psychonautics. Even these habits turn into addictions that are very hard to break. Some people need to improve their performance either academically or physically. Athletes especially feel immense pressure in high-level competition. By doing so, they may turn to some questionable chemicals including performance enhancing drugs. College students often turn to prescription CNS stimulants to study better. The risk for this kind of behavior, losing their career or getting expelled from school only enters their mind once they get caught using prohibited drugs. One normal human emotion is curiosity. Because of this human nature, it’s understandable why people have a proclivity to test out new substances just to see what it feels like. 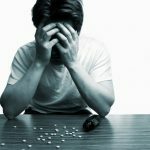 The thought of using a drug “just one time” come to mind for many people; however, many individuals fall short of this promise and find themselves scoring drugs “just one more time”. Some conditions relating to mental issues of anxiety and depression require drugs to make life tolerable. Most often these serious psychological illnesses require treatment from a proper and certified therapist. Sadly, some people with mental ailments cure their abnormal feelings with illegal substances. They are unaware that the mental issue if left untreated will cause them to sink further down into drug dependency. There are some people who seek the ultimate euphoric rushes even though they don’t have any major life traumas or problems. Unencumbered, from close friends, they hear about the kind of effects certain drugs have. So they want to try it out for themselves and once opening this drug-filled Pandora’s Box, it will not take long before these thrill-seekers to develop more cravings for drugs. Most addicts usually do not get high alone. They befriend other drug users to join them in euphoric outings. 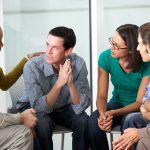 If the addict turns out to be one of your closest friends, there is a high possibility that you will get caught in the crossfire. He or she will very likely ask you to try drugs also. 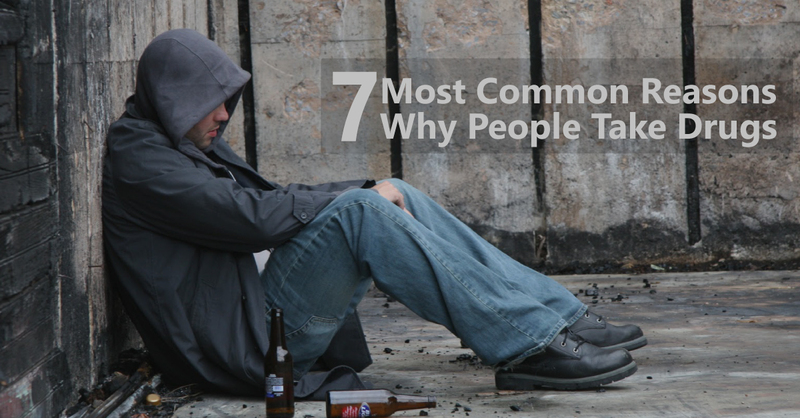 Whether the addict has a high conversion rate or not largely depends on his or her charisma.